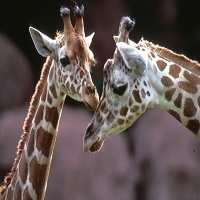 Visit some of the zoos in Missouri to find amazing creatures from around the world. A great place to take the family for a day out, you will see creatures up close that you could never see otherwise. Discover the amazing animals and habitats that exist in nature when you visit a Missouri zoo. 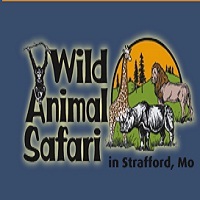 To see exotic animals roaming free, Wild Animal Safari is an ideal place in Missouri. There are 65 different species and about 650 animals to exhibit. This is a drive through animal park in Missouri. You can drive your own vehicle to see the wild animals closely. There is also a complementary bus drive through the jungle operated by Wild Animal Safari and led by a tour guide. 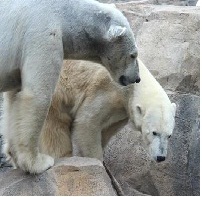 It is a superb experience to see the animals so closely. You will be able to see the animals face to face and also can feed them with your own hand. Take A walk Through the Animals of the World! 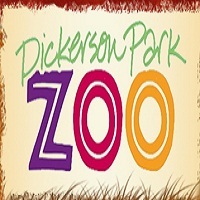 Dickerson Park Zoo is home to the wild habitats collected from all over the world. Themed zones are divided as "Tropical Asia", "Missouri Habitats" and "Reptiles & Amphibians", Birds and Mammals. "Tropical Asia" represent elephants, tigers while "Missouri Habitats" features black bears, grey wolfs. There are also hundreds of animals, birds and reptiles exhibited here for the visitors. 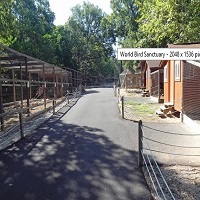 More than 500 animals represent about 170 species in this zoo in Missouri. Take a walk through the wild animals, feed them and see them very close to you. The Kansas City Zoo is designed to engage visitors for learning and fun. The vision of this zoo is to become the best family friendly zoo in MO and in the country. Their mission is to conserve the animals in their captivity and educate people about the nature of the habitats and create respect for them. The animals in The Kansas City Zoo have been collected mainly from Asia, Africa and Australia. Bring your family to the zoo and experience the wild life of different parts of the world. Saint Louis Zoo in Missouri is home to 19,000 animals from 655 species located in a 90 acre beautiful forest park. 30,000 visitors every year come here to visit the St. Louise Zoo and experience the adventure of seeing wild animals from different continents. This zoo in MO is renowned for its innovative approach to animal management, wild life conservation, research and education. Admission to the Zoo is FREE, although there are fees for some attractions. Attractions are weather dependent and subject to change. Visiting hours are from 9 a.m. to 5 p.m. daily. Summer visiting hours are May-September from 8 a.m. to 5 p.m. Monday-Thursday, and 8 a.m. to 7 p.m. on Friday-Sunday. The World Bird Sanctuary has established the mission to preserve the biological diversity across the world and to secure the future of threatened bird species by providing natural environments. It is one of the largest facilities to conserve birds in North America. The sanctuary fulfills the mission through education, field studies, captive breeding and rehabilitation. It employs 18 full time staff members and hires approximately 25 part time employees per year. It opens daily from 8 am - 5 pm with free entry and parking facilities. Ancestral home of the Busch family is The Grant's Farm. More than 900 animals of 100 different species are nourished here. This farm is a living symbol of love for animals of the Busch family. It takes the name from 18th President of the United States, Ulysses S. Grant, by whom it was founded. In the 1850s, he farmed a portion of the farm. 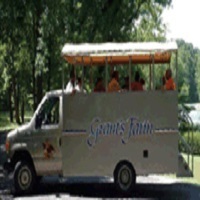 Admission to Grant's Farm is free to all. No reservation is required.